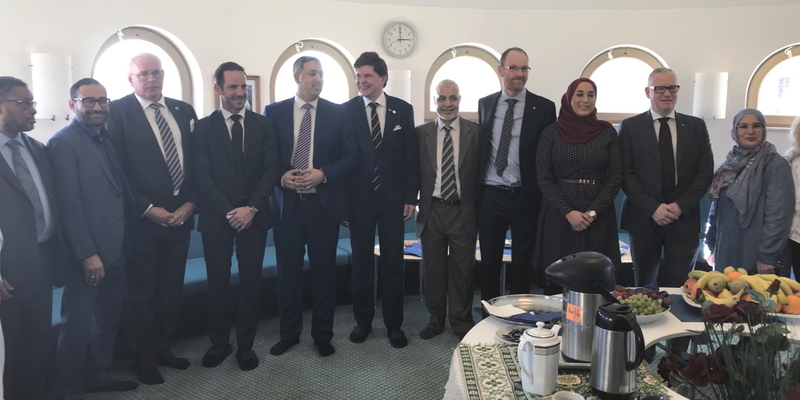 On 28 March the Speaker Andreas Norlén participated in a gathering at the Stockholm Mosque to honour the victims of the attacks in New Zealand on 15 March. 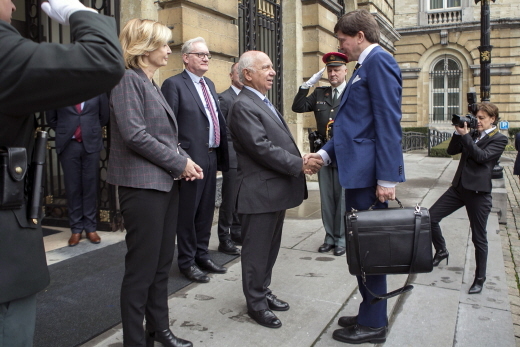 On 5-7 February, the Speaker Andreas Norlén travelled to Brussels together with a delegation of members of the Riksdag for a three-part visit to Belgium, to the EU institutions in Brussels and to the NATO Headquarters. 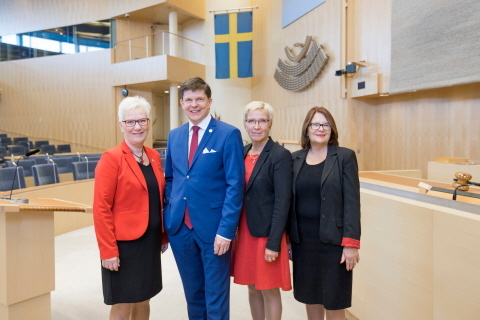 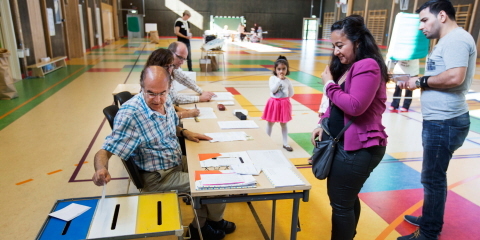 Standing, from the left, First Deputy Speaker Åsa Lindestam (Social Democratic Party), the Speaker Andreas Norlén, Third Deputy Speaker Kerstin Lundgren (Centre Party) and Second Deputy Speaker Lotta Johnsson Fornarve (Left Party). 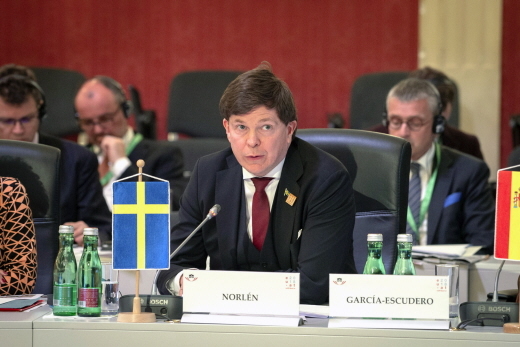 The CV contains more detailed information about the Speaker Andreas Norlén. 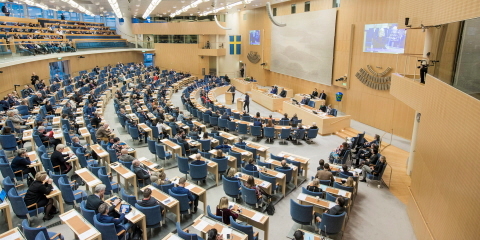 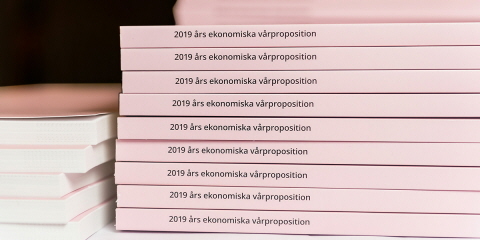 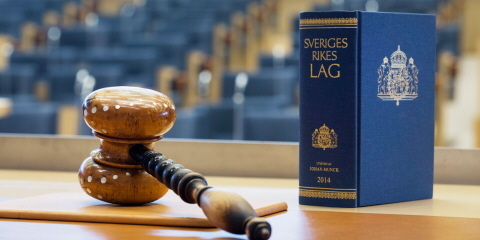 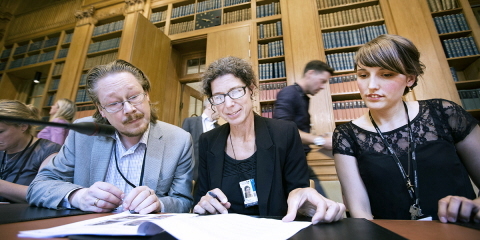 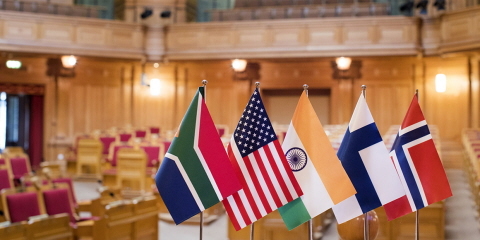 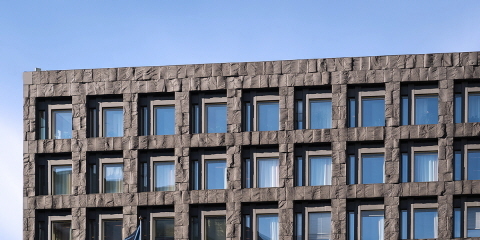 The Speaker is the Riksdag's principal representative, and as such directs and organises the Riksdag's work procedures. 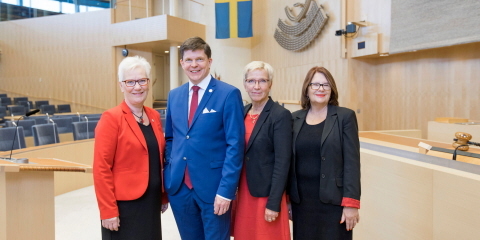 Åsa Lindestam (Social Democratic Party) is First Deputy Speaker, Lotta Johnsson Fornarve (Left Party) Second Deputy Speaker and Kerstin Lundgren (Centre Party) is Third Deputy Speaker.